Composer-pianist Felix Jarrar won top awards as a teenager in regional piano competitions held by the Fairfield County Schubert Club, the Connecticut Music Teachers National Association, First United Methodist Church of Stamford, the University of Rhode Island, and the Eastern Connecticut Orchestra. Since 2008, he has performed at Carnegie Hall’s Weill Recital Hall in New York City, Merkin Concert Hall, the Kosciuszko Foundation Recital Hall, and DiCapo Opera Theatre. These performance opportunities were the result of top prizes he won in competitions held by Bradshaw and Buono, the American Fine Arts Festival, American Protege, and the Golden Key Festival. As a composer, he won prizes in composition contests held by the National Federation of Music Clubs, Sparks Wiry & Cries, the New York Arts Ensemble, the Connecticut Music Teachers National Association, and Webster University. In 2012, an excerpt from his first opera, Apollo and Hermes, was performed at the Rose Theater in Lincoln Center. Later that year, he made his European debut performing his Rhapsody for solo piano in Vienna. In 2013, he joined the Windham County Symphony in Vermont for performances of Igor Stravinsky’s Symphony of Psalms. In 2014, he gave a joint recital at Cornell University with award-winning jazz pianist John Stetch. During the summer 2015, Jarrar participated in the month-long composition program at the Atlantic Music Festival in Waterville, Maine. While in Maine, he had three original works premiered by the AMF contemporary ensemble and festival orchestra, and took composition lessons with award-winning composers Eric Ewazen, Robert Cuckson, and Ken Ueno. Jarrar completed an opera development internship to workshop his second opera, The Fall of the House of Usher, at Opera America during the summer 2015, a work which as deep personal resonance for him. This chamber opera, based on the short story of the same name Edgar Allan Poe, was the main project of his undergraduate thesis. He served as the producer, casting director, musical director, and pianist on the production. The Fall of the House of Usher was world premiered in a fully staged production in March 2016 at Marlboro College in Vermont. Shortly after the successful opening in Vermont, the opera toured off-Broadway at NYC’s The DiMenna Center for Classical Music in April 2016 to sold-out crowds. A critical and commercial success, it was praised by critics such as 2000 Pulitzer prize-winning composer Lewis Spratlan, who wrote that, “It is a work of great… intensity, capturing the obliquely dark world of the Poe story from which it’s derived. 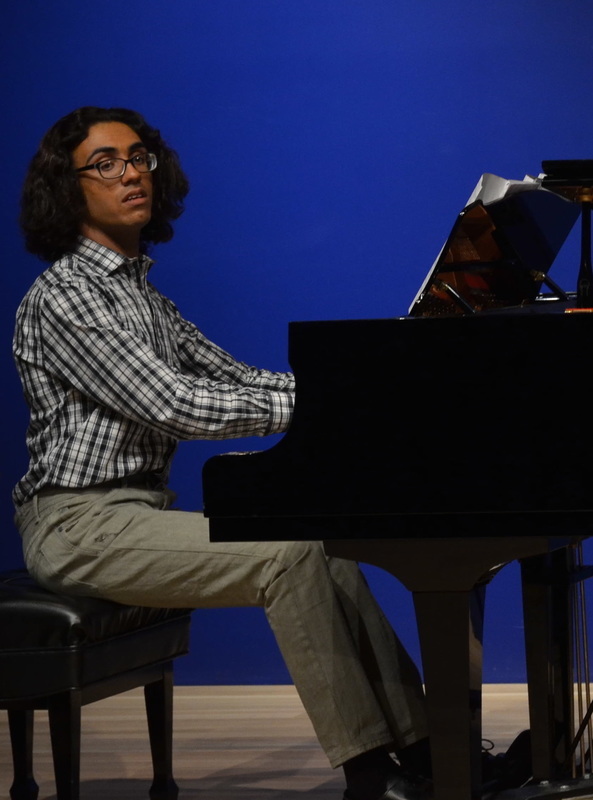 Felix’s dramatic instincts are strong and richly projected through the singing and highly developed instrumental accompaniment.” Jarrar presented his analysis paper Die Lorelei at the 2016 BGSU Graduate Student Conference in March 2016 as one of only a few senior undergraduate presenters. In August 2016, Jarrar participated in the highSCORE Festival Composition Program in Pavia, Italy. While there, the flute-guitar duo, Unassisted Fold, premiered his Variations on a Dirge. Now the keyboardist of the pop act The Petra Jarrar Band, he has toured NYC, Japan, and Los Angeles with the group. His first string quartet, Mosaic of Myself: a Walt Whitman Experience, co-commissioned by violinist Brendan Speltz and cellist Andrew Janss, received its world premiere at The Church of the Intercession in NYC on December 10th, 2016. His latest project, Songs of the Soul Beams, a theatrical song cycle with original text by Brittany Goodwin about personal grief, premieres at BAM on June 4th, 2017. Jarrar loves to read, hike, and watch reruns of Law and Order SVU. Jarrar received a Bachelor of Arts from Marlboro College with highest honors, and studied music composition with Stanley Charkey and piano performance with Robert Merfeld. He is currently pursuing his Master’s of Music Composition at Brooklyn College on the Cerf Scholarship in Music and studies with Wang Jie.